Was the new HomeTown Competitiveness program being introduced at the time going to turn into yet another community revitalization effort that has good intentions but doesn't have lasting power? TONI HAMIK is an example of the success of O'Neill's Hometown Competitiveness effort to attract former residents back to O'Neill to pursue careers and jobs. After living elsewhere for a couple of years, Hamik is back in O'Neill, studying for a degree and working full time at Sunrise Floral &amp; Gift. She moved to Norfolk after high school to work and attend classes at Northeast Community College. 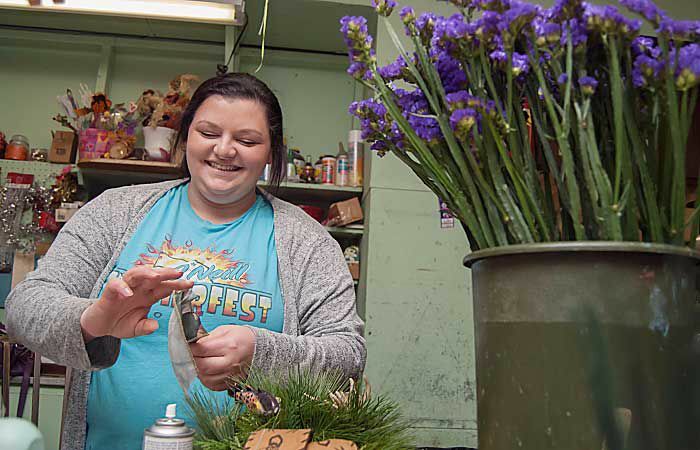 After a couple of years, she decided to move back to O'Neill and now works full time at Sunrise Floral &amp; Gift while also taking more college classes.